You might have noticed that we mentioned natural skin care specifically in the title for this blog. That’s because our beauty team here at Teami Blends believe that a holistic approach to beauty is the best way to go to create healthy, glowing skin in the long term! The chemicals in your synthetic products might actually be making your skin worse, and we'll break down how! So Why Use Natural Skin Care? Natural products just smell much better than their chemical-laden companions! Synthetic skin care often smells harsh and less-than pleasing, so companies are forced to lace it with more synthetic fragrances to cover up that smell. With natural skin care, your products are made with real ingredients that actually smell good on their own- no harsh, weird scents, just natural ingredients that smell amazing. Have you ever compared the smell of a real rose with a synthetically-made “rose essence”? Once you get a whiff of the natural smell of quality ingredients, you’ll never be able to go back to fake fragrances! On a more serious note, did you know that the FDA doesn’t regulate many of the chemicals that end up in synthetic skin care? The skin is the largest organ of the body, and is meant to act as a barrier against pollutants and the elements, but that doesn’t mean it cannot be penetrated. According to scientist Dr. Trevor Keith, "up to 82,000 ingredients used in your products are industrial-grade chemicals." These harsh chemicals can damage your skin and even your body as they are absorbed. When administering calming, active ingredients, absorption into the skin isn’t a bad thing, but combine the ability of synthetic ingredients to penetrate the layers of the skin with harsh, reactive chemicals, and that spells disaster for the unassuming beauty guru. 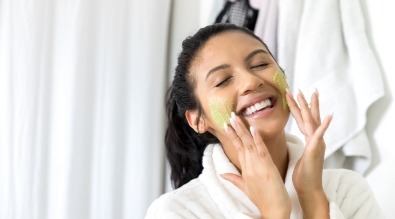 Dry skin, more active breakouts, and rampant redness are all side effects of harsh, drying chemicals called sulfates that are sneaked into a lot of beauty products. 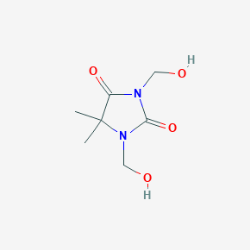 Why are drying agents so prevalent in beauty products? Well, they can help clear up issues caused by oily skin in the short term, but this strips your skin of the natural oils and balance it needs to regulate itself, causing you to become more and more reliant on their product to “solve” your problems. provides a good starting list to the ingredients that are most often the source of these reactions. So why keep reaching for products mass-produced with similar ingredients? Maybe going the natural route is just what your skin is calling for! Did you know that toner products were actually created to correct an imbalance from using harsh soaps, cleansers, and other skin care products? So a problem was created through these sulfates and drying agents in your skin care, and instead of pulling those harsh ingredients out of their skin care, main stream beauty brands sold you on yet another product that you “need” to solve a problem caused by their products in the first place! Let your skin breathe and regulate itself like it was meant to do! And if you need extra help with some breakouts, always research ingredients in your products first and check out what they’re actually doing for your skin! preserve their active ingredients with formaldehyde releasers- a known carcinogen. What Ingredients Should You Stay Away From? As we touched on in the beginning, 82,000 ingredients allowed in skin care are also industrial chemicals, with very little regulation from the FDA according to Dr. Trevor Keith. Unfortunately, this lets companies hide behind vague ingredients like “fragrance” and confusing words to mask harmful and carcinogenic products. But if they smell okay and make your skin look better in the short term, what’s the problem? Well, we absorb 60% of what we put on our skin- this absorption allows those harsh chemicals to disperse into the air you breathe and can even penetrate deeper and start building up in your system! I’ve compiled some of the most harmful ingredients to stay away from, just for you guys! Because other companies might not care about what you put on your skin, but we do. carcinogenic-- so why is it still in your skin care? On top of the absorption factor, when we rub it onto our skin, the formaldehyde part of that concoction releases and we inhale it, and formaldehyde is in its most toxic state when airborne and inhaled. Mineral oil is a controversial ingredient, as some believe it to have more benefits than negatives. All our beauty team really needs to know is that mineral oil is derived from petroleum. When petroleum isn’t properly treated, it becomes carcinogenic, and can also build up in the body, causing all sorts of digestion problems and irritation. Coal tar is often used in lotions and shampoo targeted at itchy skin because it can help relieve dry, itchy skin. However, tar is… you guessed it, a carcinogenic! And I’m not sure about you, but I would rather stay away from any ingredient that has been proved to be a carcinogenic whether its going into my body or onto my skin. So What Should you Look for in Your Skin Care? 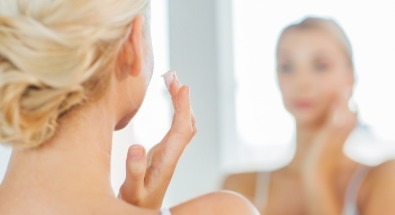 We’ve gone over what to avoid in your skin care, but what should you be on the lookout for? How can you help your skin be the best and most glowy version possible? While shorter isn’t always better, being able to quickly scan through the ingredients without searching through a list that seems to be the length of a master’s thesis is by far the best way to really know what’s in your skin care! This means no preservatives, harsh chemicals, and unnecessary additives! Companies have no problem hiding behind words and phrases that mean little to nothing. If you come across vague words with no explanation of what’s in it, run far away! Ingredients like jojoba oil, rosemary extract, chamomile flower, etc. Those are all super effective ingredients that will work to improve your skin while never building up or causing damage to your system. 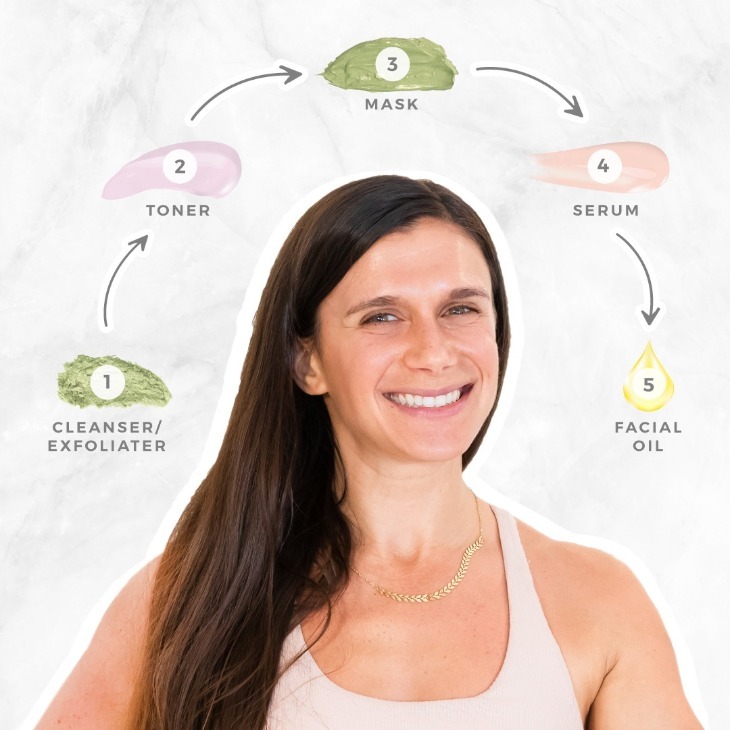 And Finally: How to Layer your Natural Skin Care! For some of the most effective, natural skin care out there, check out the Teami Blends skin care line! Made with pure, natural ingredients, no ambiguous phrasing, and NEVER tested on animals, these products are hard to beat and are a natural beauty lover’s holy grail to amazing skin!